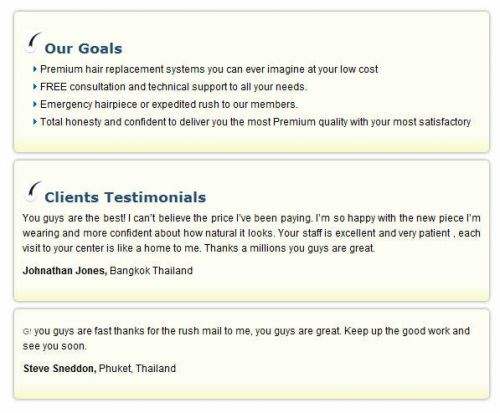 We are a group of hair system wearers who were not completely satisfied with the unprofessional hair centers.Lack of service.untranined staff,lack of technology,outdated models and not to mention the only agenda is to see you the product.Caring and understanding our customer needs is our goals. That's why we decided to invest into a manufacturer of our own,so we could control the consistency and the quality of the hairpiece.We have sought out the most innovaive people in the industry to help us develop our premium hairpiece our Super Ultra Fine Swiss Invisible Knots Hair System. No one understand and knows more than the one's who uses the product, well we are one of you.